At P.F. Chang’s, we bring people together with Asian-inspired dining that’s inventive, attentive and fresh. Using wok cooking, our chefs create Asian cuisine that is much more than a combination of delicious ingredients – it’s flavor that comes from the heart. And our exceptional recipes have been passed from dynasty to dynasty. Come and taste the freshest flavors of Asian Cuisine only at P. F. Chang’s and enjoy the unique culinary experience that makes our delicious food a masterpiece. 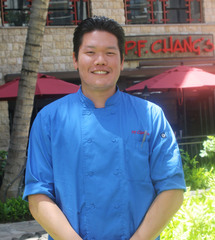 Dean McPhail is the CEO of Restaurant Partners Hawaii which owns and operates P.F. Chang’s China Bistro in the state of Hawaii. P.F. Chang’s Waikiki opened on March 31, 2008. McPhail has extensive experience in the restaurant and quick service restaurant business. 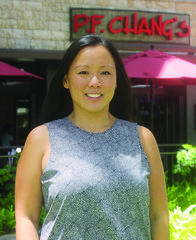 Beginning in 1999, McPhail was CEO of JJC Hawaii, LLC , which owned and operated Jamba Juice stores in Hawaii until December 31, 2012. In 1996, McPhail and his business partners launched the Starbucks brand in Hawaii. McPhail was president of Coffee Partners Hawaii, the exclusive licensee of Starbucks Coffee stores in Hawaii. In January 2006, Coffee Partners Hawaii sold its 95% interest to Starbucks Coffee Company. McPhail was also president and CEO of Pacific Video Entertainment Corp. (PVEC), the Blockbuster Video franchisee in Hawaii and Guam which was sold to Blockbuster Entertainment Group in March 1996. From December 1988 until its sale, PVEC developed, owned and operated 16 Blockbuster Video stores in Hawaii and 2 in Guam and was consistently recognized as achieving the highest volumes and having the best operated franchise stores in Blockbusters national franchise community. Dean holds a Bachelor of Science degree in Business Administration from Regis College in Denver, Colorado. Greg Meier is President of Restaurant Partners Hawaii and has worked closely with Dean McPhail in the development of Starbucks Coffee (Coffee Partners Hawaii), Jamba Juice and P.F. Chang’s China Bistro in Hawaii. 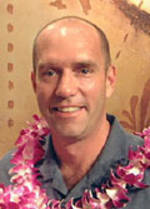 Prior to launching Coffee Partners Hawaii in 1996, Meier was the Chief Financial Officer and Treasurer of Pacific Video Entertainment Corp. He joined PVEC in April 1994 after spending over 8 years in the audit division of Arthur Andersen & Co. in their San Francisco, Orange County and Hawaii offices, leaving the firm as a Senior Audit Manager. 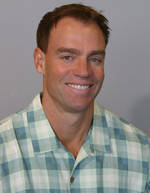 Meier holds a degree in Business/Economics from the University of California at Santa Barbara. He is a Certified Public Accountant in the states of Hawaii and California and is a member of the AICPA, Hawaii Society of CPA's and the California Society of CPA's. Greg has also served as a director on the board of the Red Cross, Hawaii Chapter, P&C Insurance, a captive insurance company for Kamehameha Schools and the board of Prevent Child Abuse Hawaii. He was also involved with the Aloha United Way, serving as an Allocations Panel Member.